The experimental, ambient rock that Nashville-based Hammock has released over the years has left a lingering desire to hear more and more of the soundscape created by Marc Byrd and Andrew Thompson. Their most recent effort provides exactly that and gives listeners the chance to hear two previously released songs like they had never been heard before as well as two brand new releases. 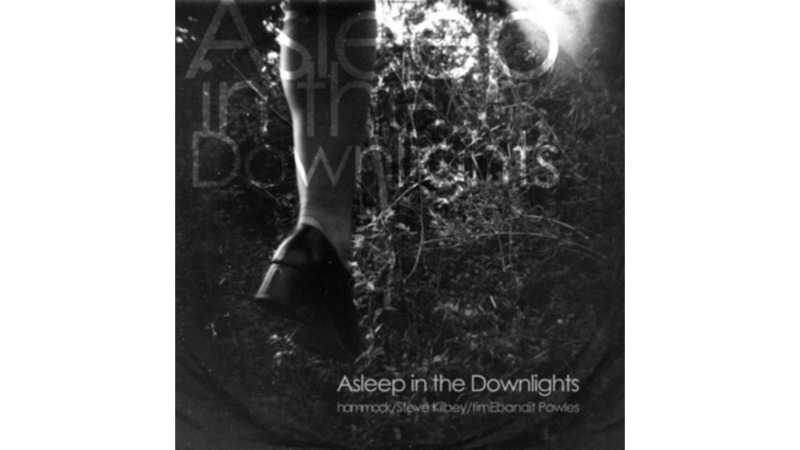 Asleep in the Downlights offers the chance to hear previously instrumental tracks with staggering lyrics that add another layer to the ambience. “No Agenda” and “Verse for Forgiveness” feature Steve Kilbey and Tim “timEbandit” Powles on each track respectively. Both are members of the Church, a band that Hammock has been fans of for ages. The collaboration between the musicians is unique because each of the four tracks features a different vocalist. Byrd and Thompson each sing on one of the new songs which gives the album a vastly different take on cohesiveness. Every song is tied together on more than just a superficial level. Hammock has provided music that looms in the background of your mind with a sense of urgent openness, wonder and beauty. Even though Asleep is only four songs long, there is a vast amount of ground covered over the 20-plus minutes of music. It’s the mixture of the four individual vocalists that offers a looming sense of surrealism even more so than they had previously put forward in the past.